Had a lazy Sunday around the house so it was ok to be a little tired throughout the day. Still dealing with the aches in my lower back and legs. It’s not as bad as the previous days but it persists. I have been falling asleep very quickly and waking up with this new level of focus. Its weird. Feeling like I’m getting thinner around the waist. Breakfast and lunch were great but dinner was tricky to make. 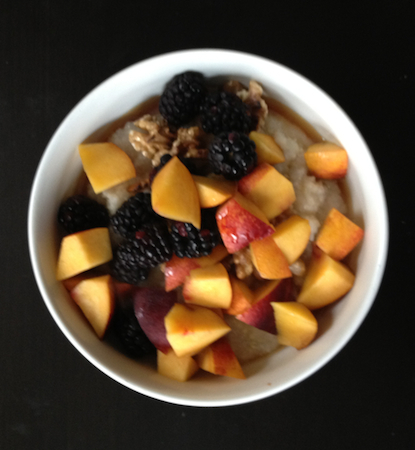 We had oatmeal with walnuts and fruit for breakfast. 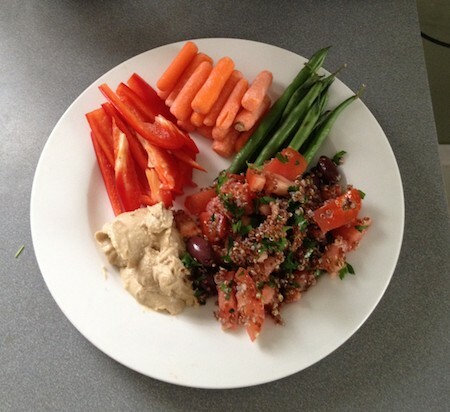 Quinoa salad with hummus and vegetables for lunch. 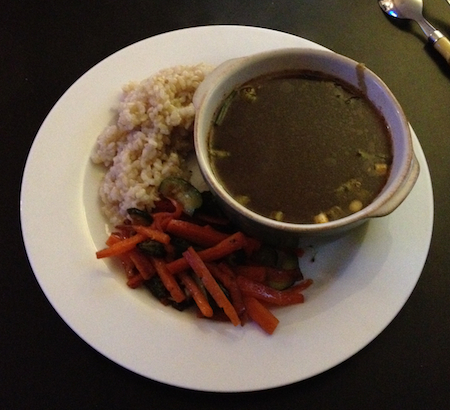 Miso soup with stir fried veggies for dinner. The miso soup was tricky to make and I think we bought the wrong kind of paste. Did not remind me of what we get at the sushi bar. Hopefully we won’t have to make miso soup that much more over the Ultimate Reset.